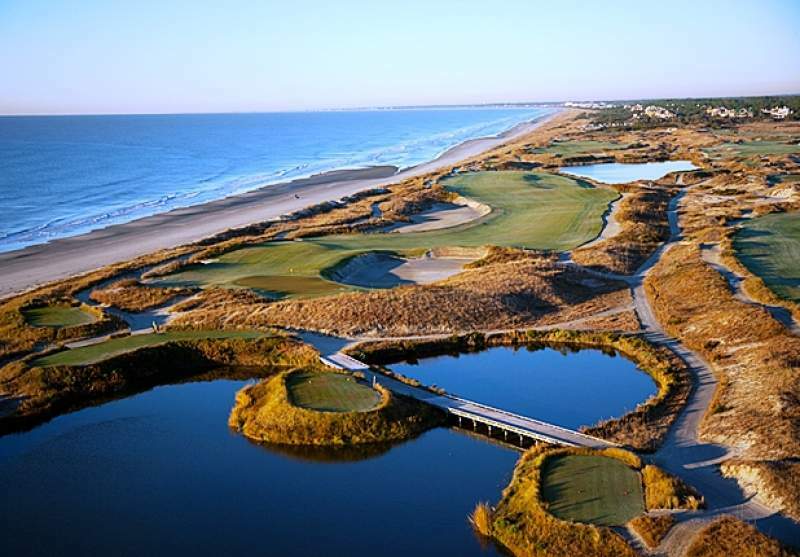 Kiawah Island resides just south of Charleston, South Carolina and persists as a mostly gated luxury resort town. The Kiawah Island Golf Resort is the “Official Golf & Tennis Resort” on the Island and recognized as an award-winning Best U.S. Golf Resort. Additionally, the location hosted the 2012 PGA Golf Championship. Kiawah Island has been declared the #1 Island in North America by the Condé Nast Traveler and #1 Resort in the U.S. by Golf World Magazine. The destination’s prestige attributes to its well-suited lavish provisions. There is plenty to do on Kiawah Island even if you’re not a golfer! Winner of the 2015 Premier Recreation Operation Award, the resort boasts fitness classes, bike rentals, nature programs and Kamp Kiawah, designed specifically for young vacationers. There are classes and lessons for everyone! Hungry after a full day? The Kiawah Island Resort contributes a complete dining experience — with over a dozen uniquely themed restaurants. The Loggerhead Grill satisfies oceanfront dining desires while the Cherrywood Ale House serves renowned southern-style barbecue. The Atlantic Room and the Tomasso add to the variety with fancy seafood and Italian cuisine options. Exclusive to Kiawah Island is the annual Kiawah Island Marathon, which takes avid runners across breathtaking landscapes of maritime forests and marshes. The race is a rewarding way of sightseeing across the Island. Not quite ready for a marathon? There are relaxed walking tours as well that feature butterfly catching and journeys through alligator habitats. The Night Beach Walk is an additional wonder that occasionally provides visitors with turtle nesting experiences. During inclement weather, The Turtle’s Nest Art Studio is an enjoyable alternative to the outdoors. Projects are available for all ages and there are classes offered in glass fusing, mosaics, and pottery creation. Kiawah Island draws visitors from their ordinary homes into a lap of luxurious leisure. It remains the reigning jewel of pampered beach vacations in South Carolina.